Following the Shambhala Sutra�an ancient manuscript written by Penchen Lama over two hundred years ago�Laurence Brahm started his journey to Shambhala in Lhasa and continued deep into the harsh regions of Tibet. 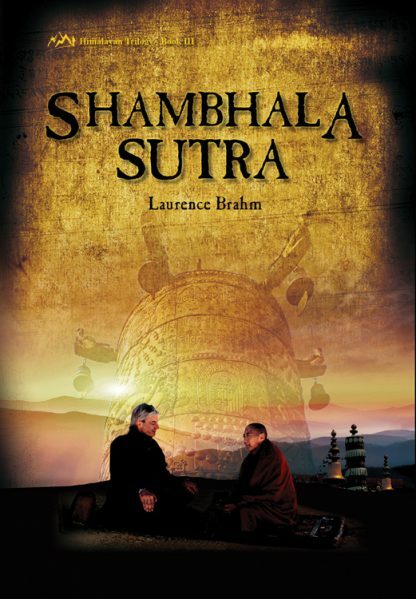 Shambhala Sutra presents Brahm�s expedition across western Tibet�s Ngari region where he learned that the ancient sutra was actually a metaphorical guidebook. He traces a route embedded with riddles through deserts and mountains. The lessons learned from this journey (as told in the sutra as a prophecy) are that shortsighted greed, war, and failure to protect our environment will cause kingdoms and empires to vanish. Mankind�s future depends on ensuring a sustainable planet through more holistic economics, empowering communities and people, and preserving our environment. These are the messages hidden in the Shambhala Sutra. Laurence Brahm is a global activist, international mediator, political columnist, and author. He is the leading advocate for the Himalayan Consensus, a fresh, innovative approach to development that emphasizes empowering people with local pragmatism instead of broad sweeping globalized ideology and theory.